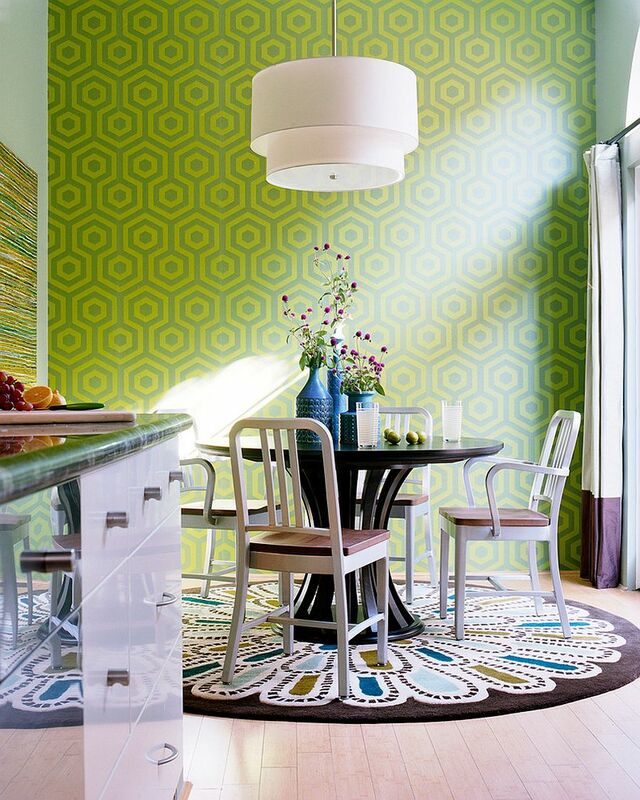 How hard can it really be to choose a dining room rug? That is one of the first reactions you get from homeowners who haven’t yet started shopping for one. 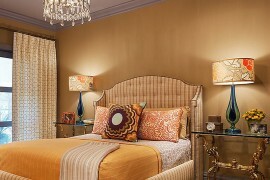 But they soon realize that it is indeed a lot trickier than it seems and it involves much more than mere aesthetics. 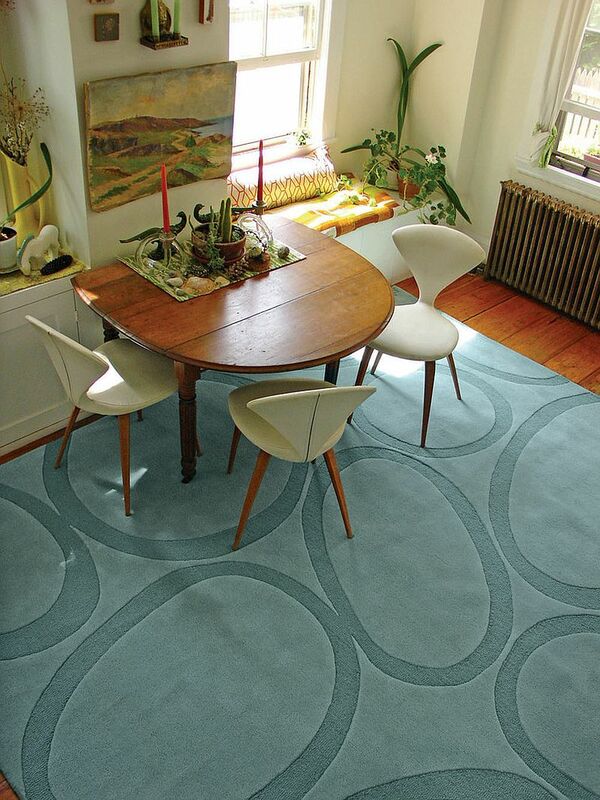 Choosing the right dining room rug involves a fair amount of planning, an understanding of your needs, and of course that elusive balance between form and function that all of us are after. Today, we attempt to make this choice a lot easier and far less perplexing by pointing you in the right direction with a few smart ‘rug shopping’ tips. With the holiday season bringing with it some unbelievable deals, this is most definitely the right time to shop for that stylish and practical dining room rug you always wanted. So, why wait? 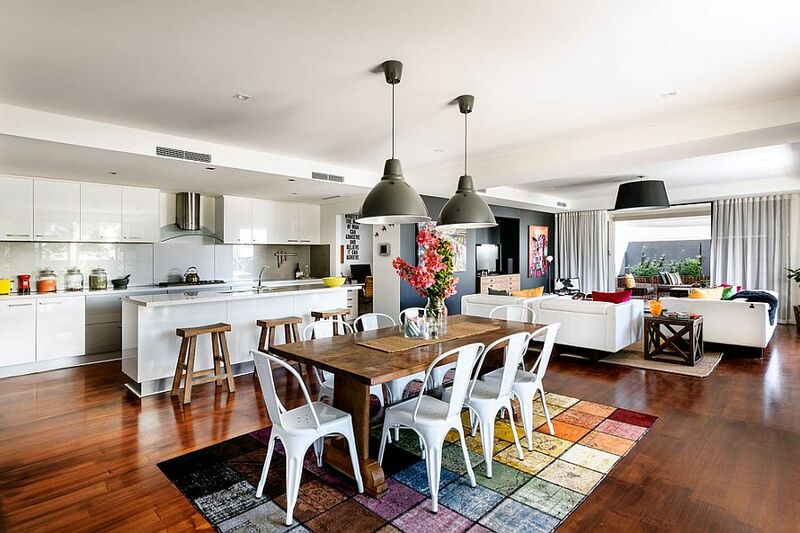 Much like in the case of picking the right dining table or living room couch, it is a good idea to actually measure the size of your dining room and your existing dining table before starting to browse through the many rugs on offer. 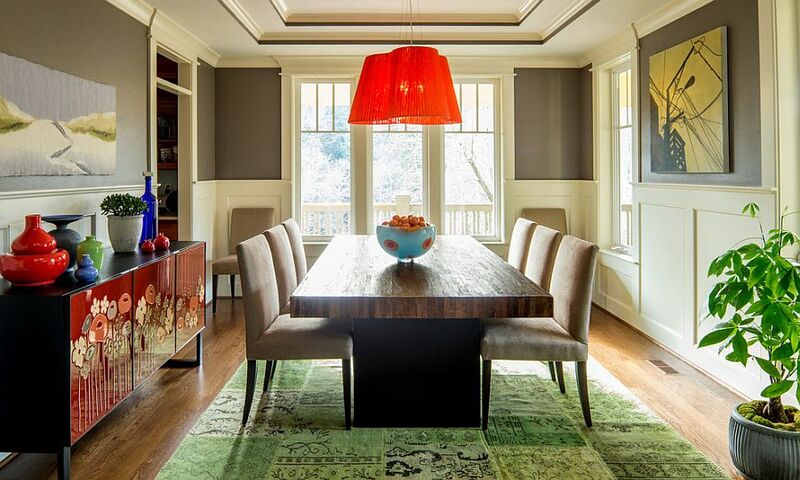 The rug must be at least 24-28 inches larger than the size of the dining table to accommodate the dining table chairs as well. 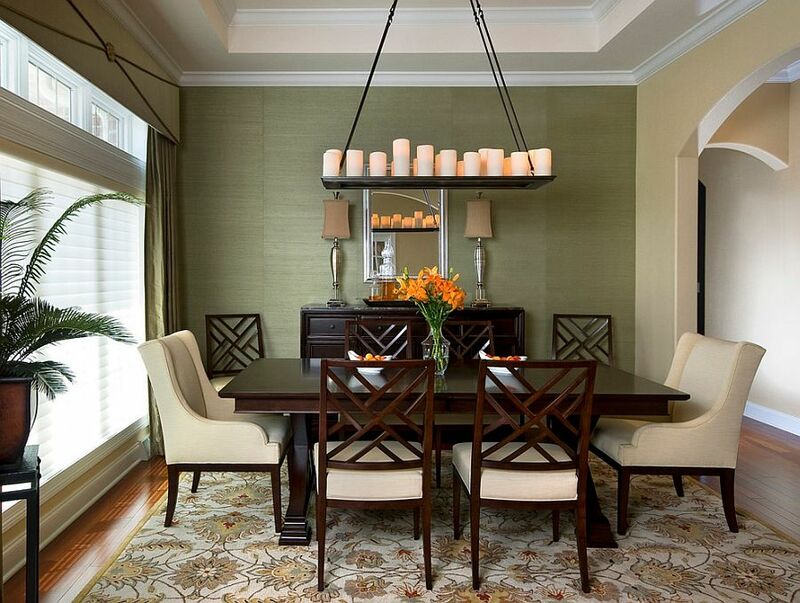 A larger dining room with more space between the walls and the table allows you to opt for an even larger rug that goes beyond this minimum requirement. 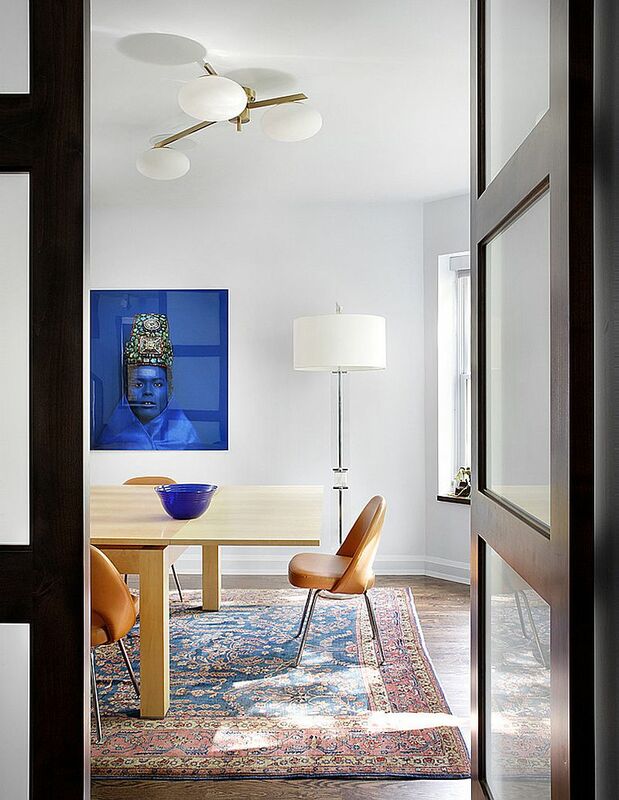 If you want to showcase that lovely hardwood flooring in the dining room while adding a rug to it, then leaving some space between the rug and the walls of the room is the perfect compromise. This is also the preferred look in the most exclusive dining rooms, and it definitely adds to the ambiance of the setting. 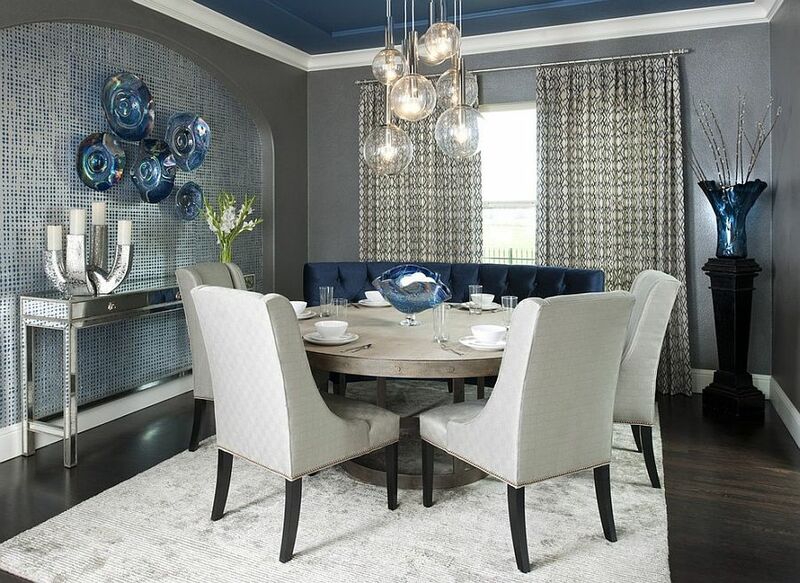 Consider the style of the dining room, the shape of your dining table and the existing décor in the room before choosing the style of the rug itself. 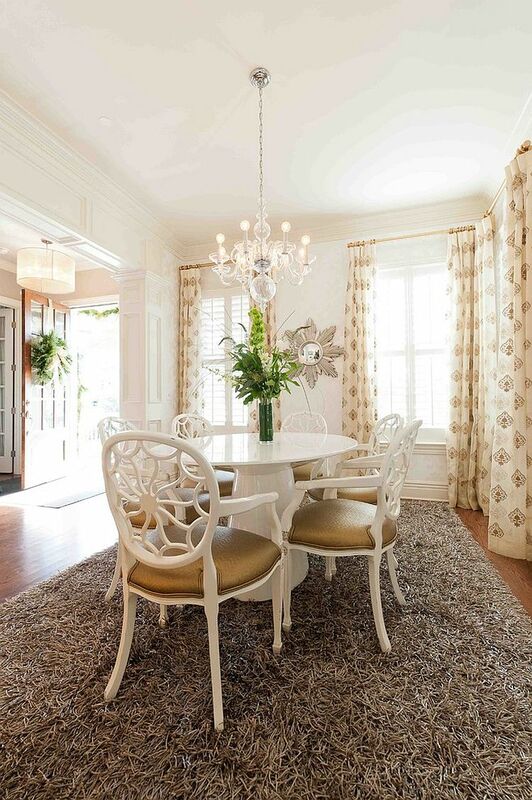 Remember that there is no hard-and-fast rule that says a square dining table works only with a square rug and a round table goes with a round one! This might not sound like an important little thing when actually buying the rug, but soon you will realize that a rug that is easier to clean will outlast a shinier counterpart with a thick weave that demands plenty of maintenance. 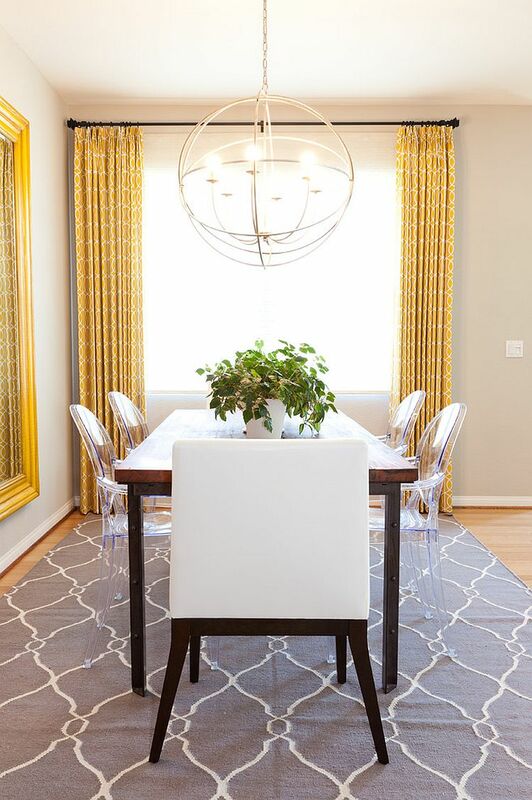 A synthetic, indoor-outdoor rug with a flat weave is a safe and sturdy option in a dining space with plenty of traffic, while a more formal dining room that is occasionally used could host a more high-maintenance rug. Rugs made from natural fibers are also pretty easy to clean, making it well worth the extra dough you spend on bringing one home. 4. Start with the Rug! 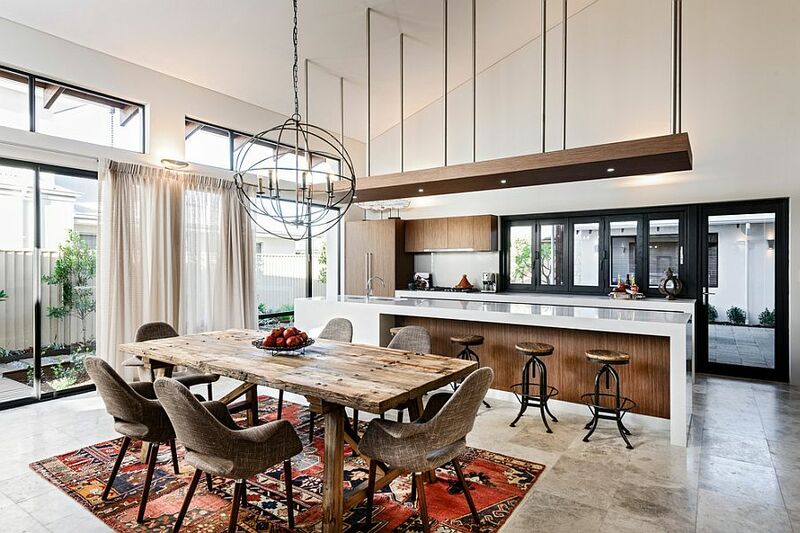 While we talked earlier about shopping for a rug that fits the style and color scheme of your existing dining space (or open plan living area), an opposite approach for those completely redecorating their dining room is a great option as well. Start with the rug in the dining room and let it bind together the various elements that you add to the setting after that. 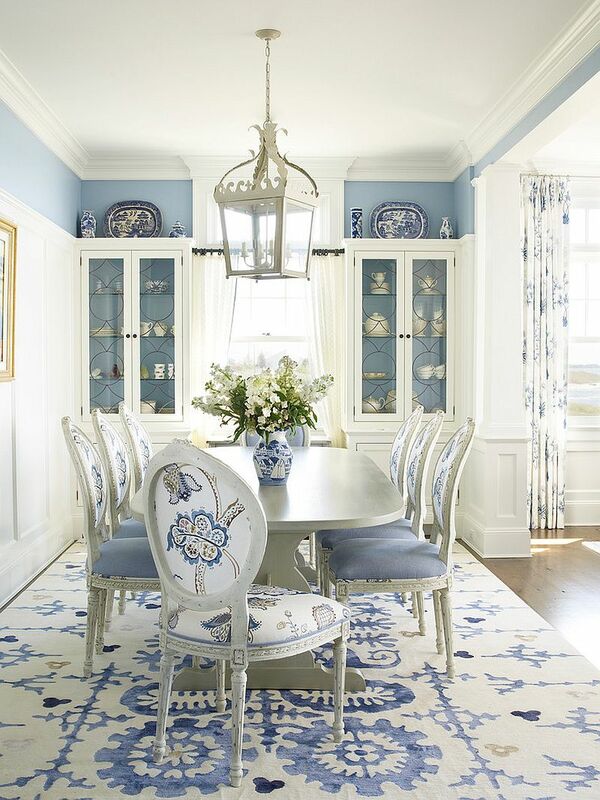 This definitely makes shopping for a new dining room rug a lot more streamlined with a clear vision of exactly what you want and what will work in the dining room. 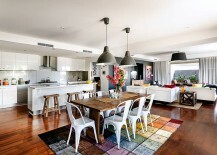 Talk about choosing a new rug, and most of us first talk about color, pattern and cost. That’s right; the more essential aspects like size, material, weave and maintenance always take a backseat to the obvious aesthetics. 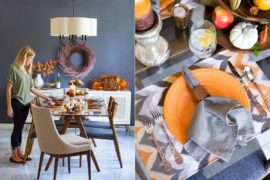 It is an understandable tendency, but we once again suggest that you first go through the first few essential steps before jumping into color and pattern. 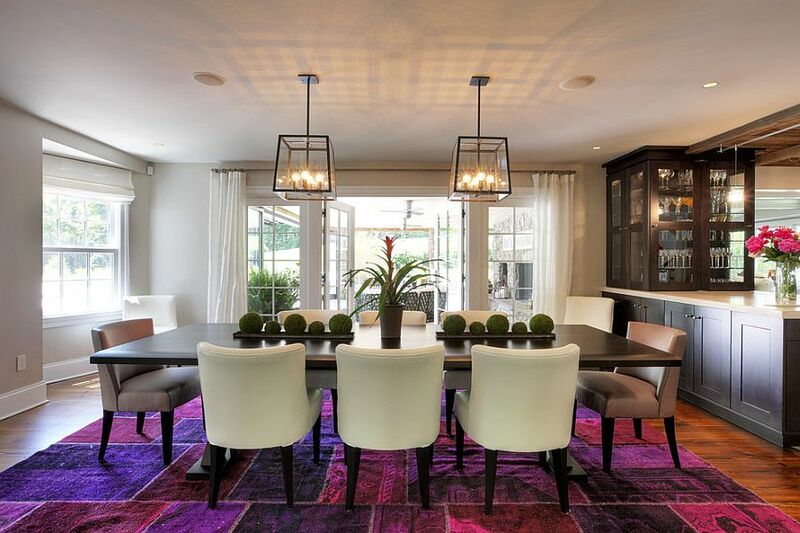 Solid colored rugs and overdyed rugs are currently a hot trend, and they allow you to easily add color to the neutral, contemporary dining room. Classic Mediterranean rugs with Moroccan-inspired patterns or contemporary masterpieces with abstract prints come next in line. 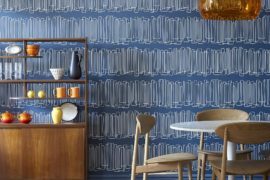 There have been plenty of occasions when we talked about the slow demise of the exclusive dining room, and most contemporary homes seem to only want a casual dining space that sits next to the kitchen of the living area. A beautiful and colorful rug is the perfect way to define and delineate this area, give it a distinct identity, and do so without major renovations, permanent fixtures or even exorbitant costs. 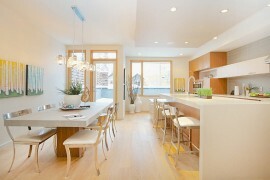 It also lets you create an island of exotic, distinct style in a larger living space that is clearly modern. 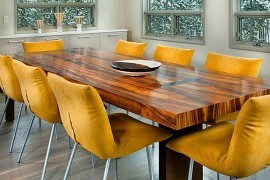 How often do you use the dining room? Does it see activity only during the holiday season, or is it filled with friends, family and guests almost every weekend? 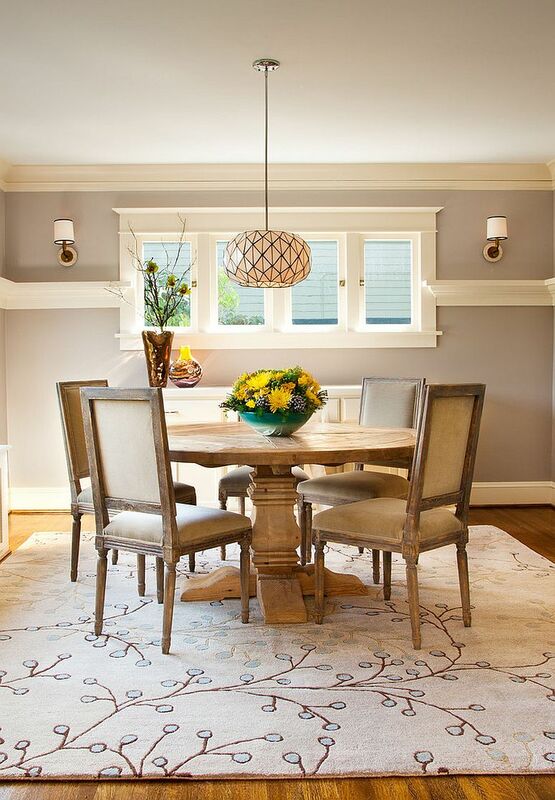 Those who use their dining room sparingly can opt for a fluffy, cozy-looking rug in white or lighter shades of gray or cream. This is a good approach also in homes where the dining room is used more as a home office or kids’ study room or crafts room. If you are shopping for a rug for that small dining area that is going to be used regularly, or if you simply cannot keep your pawed friend away from the rug, a less expensive and sturdy choice is the way forward.